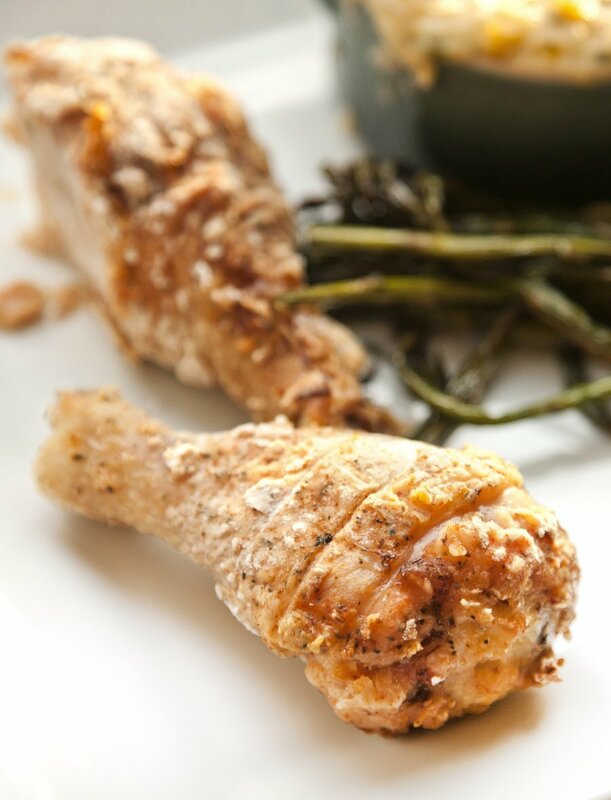 I absolutely love Fried Chicken (for my recipe, click here). 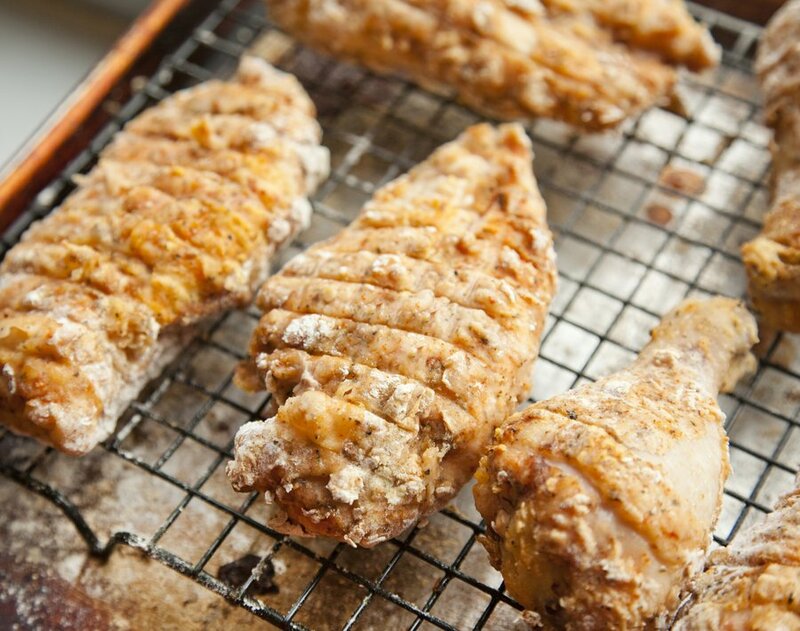 The combination of the crispy, seasoned skin with the juicy meat is probably one of the best things in the culinary world. However, with Summer, and bathing suit season quickly approaching, I realized I need to give up some of my unhealthier foods for healthier alternatives. 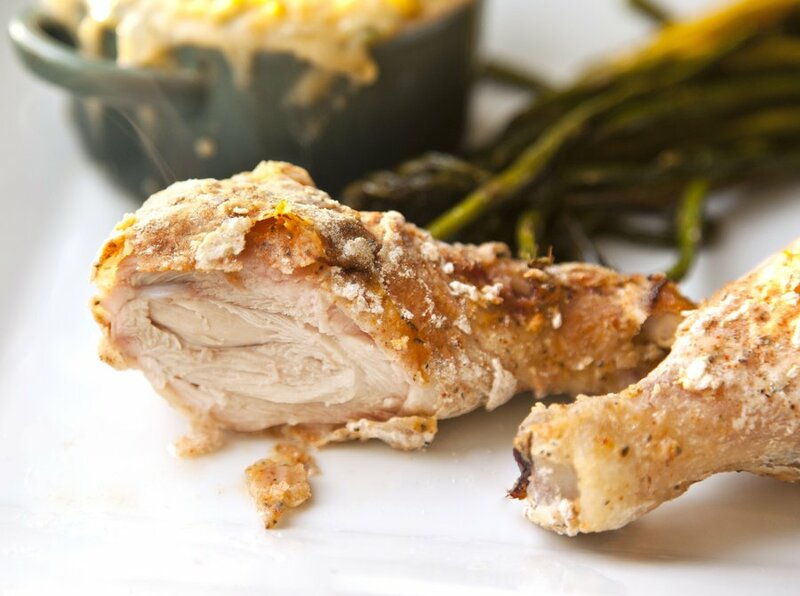 So last night I wanted to mimic the Fried Chicken tastes and textures but instead of deep frying the chicken, I baked it… and to tell you the truth, I actually liked this baked version better! The skin comes out perfectly crisp while the inside remained juicy and tender. Not only is this a healthier option, but you don’t have to clean up after a deep fryer when you’re done cooking! 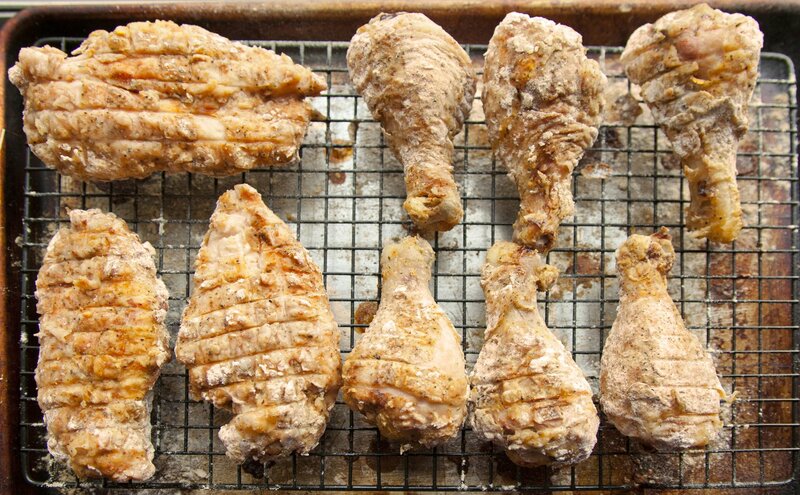 Fried Chicken, without the fryer - BAKED in the oven! Preheat your oven to 400 degrees. In a small bowl, combine your salt, pepper, smoked paprika, chipotle pepper, garlic powder and basil. Mix together. In a separate large bowl add your milk, and in another dish, add your flour. Also, have a baking sheet with a resting rack on it. First, take your chicken, and season liberally with your spice mixture (you will have a decent amount of the spice mixture left over so mix it into the flour). 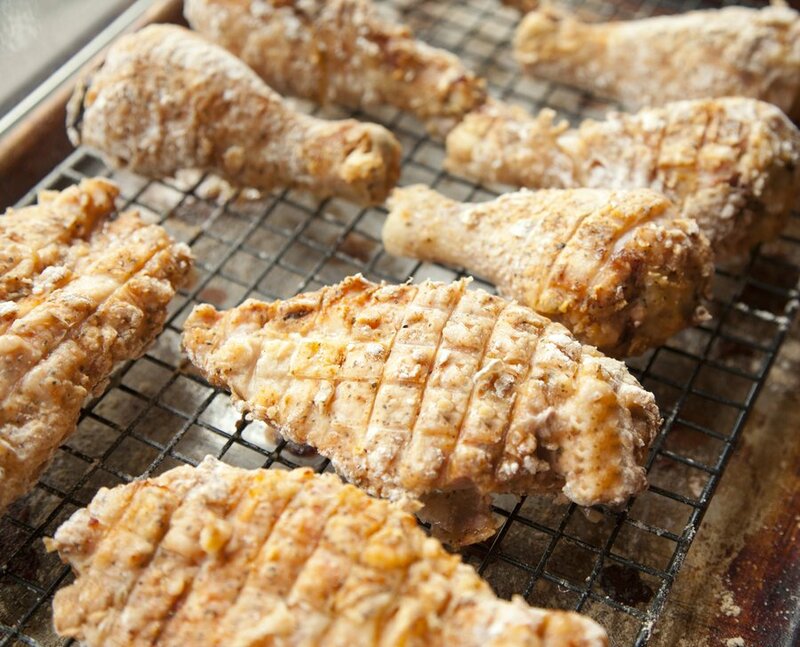 Next, roll your chicken pieces in flour and shake off the excess. 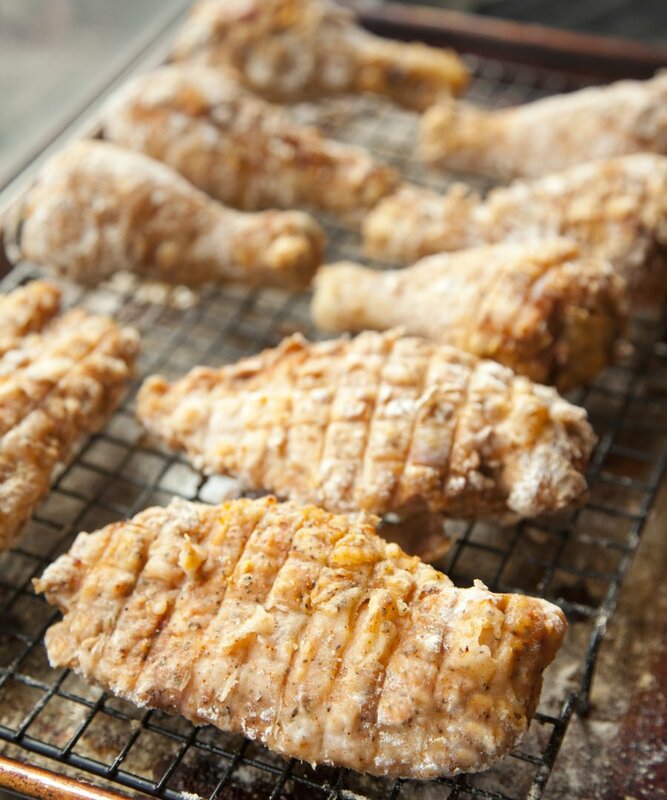 Quickly dip the chicken in the milk, coating on all sides, and then back into the flour to coat again. Shake off excess flour well, and lay on the baking sheet with the resting rack, skin side up. 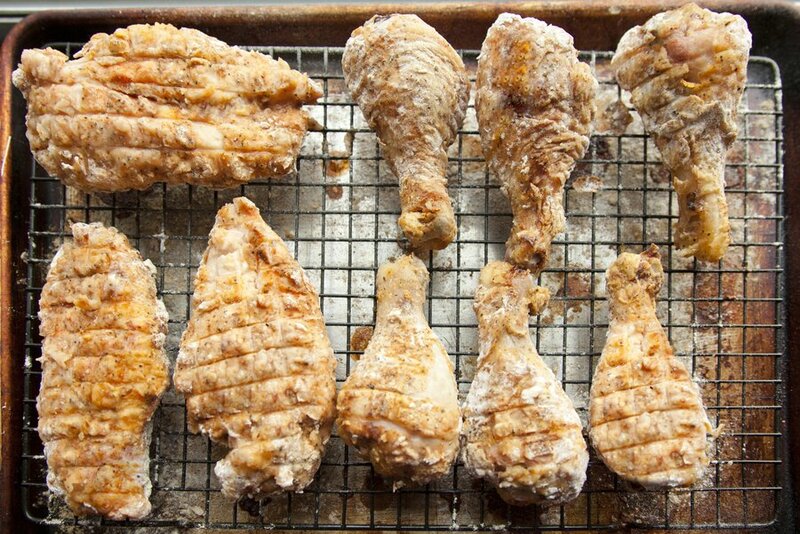 Repeat this process with all your chicken pieces. Bake in the oven for 50 minutes. Remove and allow to rest about 5 minutes before serving.